What Works Scotland has launched the second nationwide survey of people working in community planning in Scotland. Invitations to participate in this second survey are being sent out now. If you work in community planning in Scotland but haven’t heard from us by 1 June 2018, please contact Sarah.weakley@ed.ac.uk to ask about taking part. Working for a local authority in community planning? Watch the video (2 minutes) for three important reasons to complete the survey! Children’s Neighbourhoods Scotland will receive £2 million of funding for its place-based approach designed to tackle child poverty by supporting the collective impact of services and community empowerment to improve outcomes for all children in a neighbourhood. This workshop focuses on deepening our understanding of the experiences and challenges faced by refugees who have resettled in Scotland. It will share the findings from two new What Works Scotland research reports which look at how public services are responding to meeting the needs of refugees and asylum seekers. Organised in partnership with Save the Children, this event is part of Refugee Festival Scotland 2018. This seminar will present our learnings from Evidence to Action (E2A) projects, and practical advice and tools for incorporating evidence in decision-making and public service delivery. It aims to identify opportunities for sustaining and growing E2A practices across Scotland beyond the What Works Scotland project. Presentations and resources from these What Works Scotland events are now available online. ‘Disinvestment’, or ‘freeing up’ resources for reinvestment? This seminar examined issues around changing the balance of spend to emphasise prevention and to shift the balance of care away from hospitals into social care in the community. Run by What Works Scotland in partnership with ScotPHN and NHS Health Scotland. This report explores the developing roles of key community sector organisations known as community anchors. 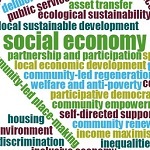 It draws from six exemplar anchor organisations to explore their roles in engaging with, leading and challenging public service reform; how public services and the state can better support community anchors and community sector development; and potential for building local democracy, community resilience for sustainable development, and wider social change. Read the summary and download the report – a four-page policy briefing will be available soon. Report and executive summary of the findings from the first survey of community planning officials conducted in Scotland. It sheds light on the composition of this significant group of local public servants, their role, the work they undertake and the implications for community planning partnerships and community engagement. Read the summary and download the report. Watch the video of the webinar that launched the report. What Works Scotland and community planning partners in Fife have worked together on collaborative action research projects for the past three years. In this blog Coryn Barclay, Research Consultant at Fife Council, explains how research is the ‘secret weapon in public service reform’. James Henderson from What Works Scotland, writes that the preventative partnership working examined in the report may offer an opportunity for a longer-term, committed approach to preventing inequality, as envisaged by the Christie Commission. Wayne Gault, Lead Officer with the Aberdeenshire Alcohol and Drug Partnership, reflects on the Local Outcomes Improvement Plan priority to change Aberdeenshire’s relationship with alcohol, loking at how the partnership approached the priority, what they have learnt from the experience, and what it means for practice. An animation about five approaches that make a difference in urban neighbourhoods and the implications for change, public services and decision-making. This short video introduces key findings from the pilot research that informed the development of the Smart Urban Intermediaries project. See the animation, and the Urban Intermediaries website. 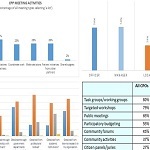 Findings from an interim evaluation of ‘Your Community’, a neighbourhood-level, place-based approach to public service reform in West Dunbartonshire, aimed at supporting communities to become more sustainable, thriving, and aspirational, and to improve service delivery. Read the summary and download the publication. This paper by Dr Oliver Escobar (What Works Scotland) and Adrian Bua offers practical insights for policy workers and democratic reformers seeking to institutionalise participatory and deliberative innovations in the higher tiers of government. Available (open access ) in The Journal of Policy Design and Practice. 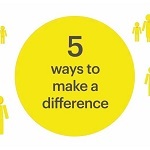 The UK Collaborative Centre for Housing Evidence (CaCHE) has a round-up of activities in its latest newsletter including a blog What works in homelessness prevention in the UK? by Dr Gareth Jones and a call for views on what the priority housing issues and evidence gaps are across the UK. The Scottish Community Development Centre (SCDC) is calling for community groups to share their experience of participation requests Complete the survey here. The SCDC is also running workshops on around Scotland. Refugee Festival Scotland 2018 celebrates the contribution refugees make to life in Scotland – the food and drink, music and poetry, dance, visual art and ideas that people bring with them when they seek safety in Scotland. It take place from Friday 15 June to Sunday 24 June. See the programme. Distant Voices — Coming Home has launched an album of songs co-written by Scottish musicians working with with people in prison, people who have served community sentences, prison officers and governors, social workers and probation officers, victims of crime, families affected by imprisonment, academics and postgraduate researchers. See the trailer on YouTube. The Centre for Homelessness Impact has created a homelessness intervention tool – one-page overviews for each of the main interventions in homelessness. Explore the tool here. The Scottish Inter-University Service User and Carer Network and Iriss brought together more than 80 delegates to explore partnership working with service users and carers in social work education and beyond. The event report is available here.